reach of so many things to see and do. One of my favorite places to tell visitors about is Longwood Gardens in Kennett Square, Pa.
Longwood Gardens, a.k.a. 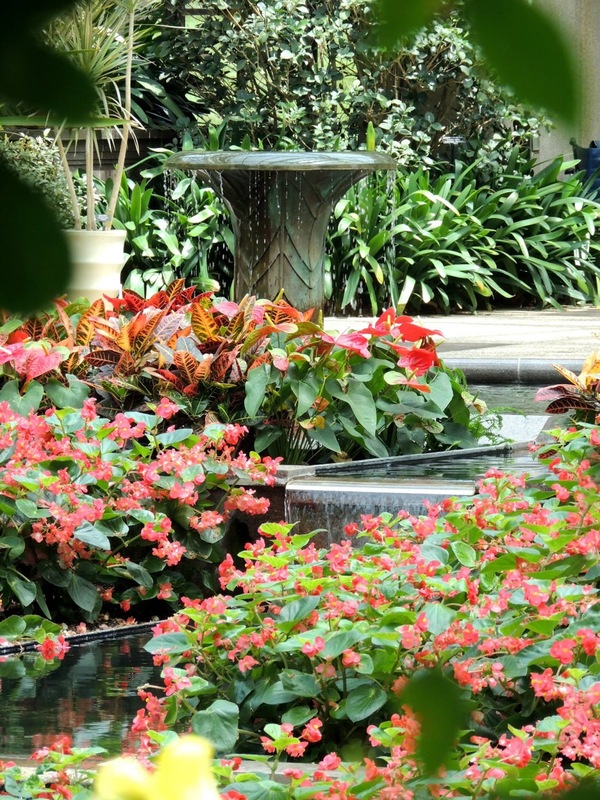 “The world’s premier horticultural showplace,” offers breathtaking displays in its conservatories and outdoor gardens. Whether you’re a plant aficionado or simply appreciate aesthetic magnificence, you’ll want to make the short 1 hour and 15 minute drive to visit Longwood Gardens and take in their exhibits. Besides the gardens, they also offer a wide variety of events and activities. From educational workshops to wine dinners to big name live entertainment, you can tailor your visit to suit your individual tastes and preferences. There’s one thing, however, that you’ll share with all other visitors…you’ll find Longwood Gardens remarkable! A Longwood tradition! Half hour shows that features stunning jets of colorful water set to music. Shows run from May 31–August 31, 2013 on Friday and Saturday evenings at 9:15 pm. Love birds? You’ll love these tours! July’s tours focus on summer birds and herons. August’s tours feature herons, egrets, and shorebirds. Musical theater in the Open Air Theatre at Longwood Gardens – July 25 – 27 and August 1 – 3. Be sure to reserve tickets in advance. A summer picnic experience with “gourmet flair.” These pre-event dinners are offered on select dates from July 18 through September 14. They often sell out, so visit their website to order your tickets in advance.